An east China court on Monday announced that it had quashed the conviction of a man who was sentenced to death 21 years ago. Chen Man, who is now 53, was released on Monday from Meilan Prison in south China’s Haikou City after the Zhejiang Higher People’s Court overturned his conviction. Mr Chen was arrested at the end of 1992 on charges of arson and murder. He was sentenced to death with a two-year reprieve by Haikou Intermediate People’s Court in November 1994. Mr Chen and his family. 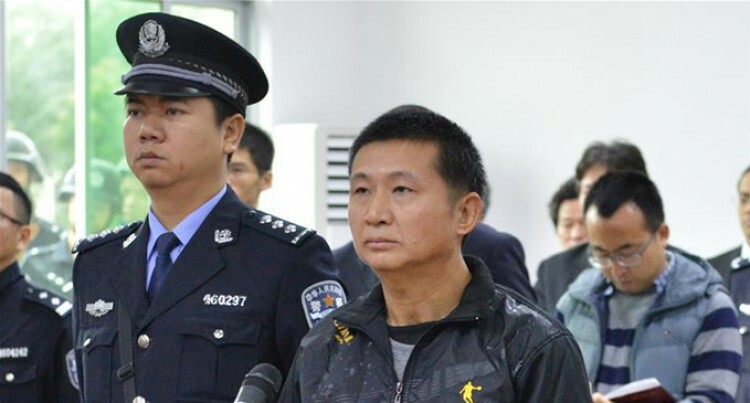 “His role in the murder is not clear and the original judgement lacks evidence, therefore, the guilty verdict cannot be confirmed,” Zhejiang court said in its statement. The court said Mr Chen had the right to apply for State compensation. The deputy head of Hainan higher court apologised to Mr Chen after the announcement, Yi Yanyou, Mr Chen’s attorney, was quoted as saying by news website thepaper.cn.